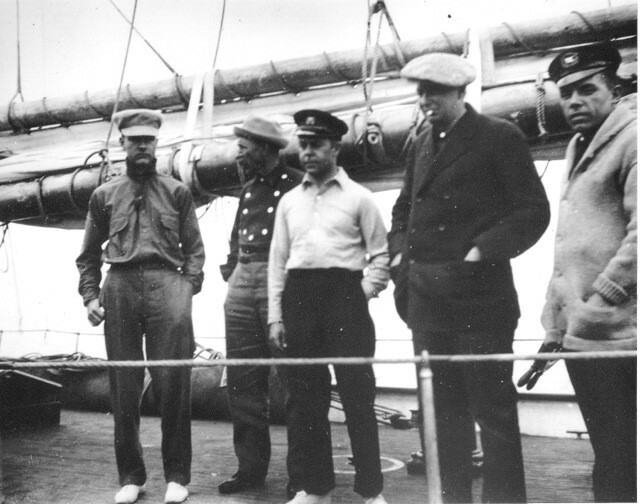 Launched in 1913 in East Boothbay, Maine, Adventuress was designed for luxury and adventure by Bowdoin B. Crowninshield. The yacht was built for John Borden II, a wealthy businessman from Chicago, for an Arctic expedition to secure a Bowhead Whale specimen for the American Museum of Natural History. On board was Roy Chapman Andrews, the museum’s naturalist, who would later discover fossilized dinosaur eggs in Mongolia and serve as the inspiration for Hollywood’s Indiana Jones character. The whale eluded the expedition, but Andrews did pivotal research along the way on the dwindling fur seal population of the Pribilof Islands. In 1914, Borden sold Adventuress to the San Francisco Bar Pilots. They valued her speed and state-of-the-art auxiliary engine. 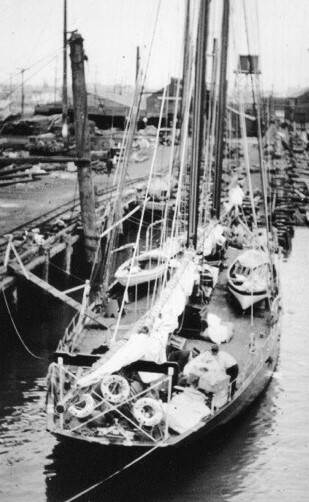 With an altered rig to accommodate the challenging working conditions, Adventuress plied the treacherous waters off the Golden Gate for more than three decades. During World War II, she served the U.S. Coast Guard patrolling the coastline. By 1950, ships of her vintage were becoming increasingly rare. 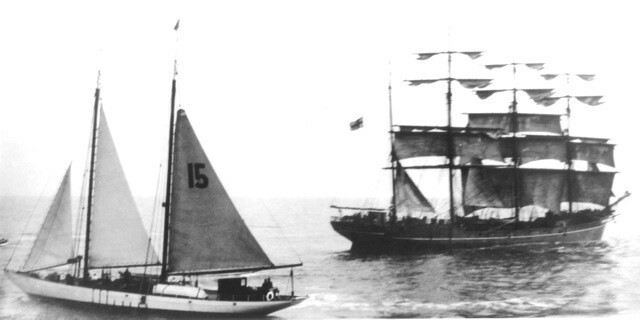 For her part, Adventuress had been phased out of use by the Bar Pilots and left at the dock at Sausalito, a more damaging fate for an old schooner than hard use. 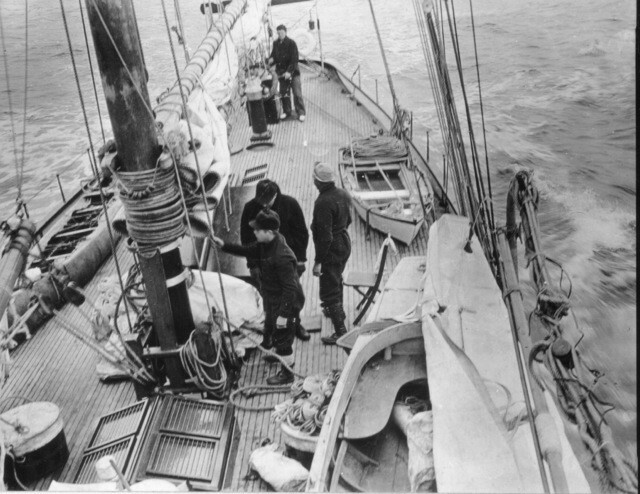 Adventuress was a sad sight with her truncated rig and without her bowsprit. To many, it appeared that her days of adventure were over. O.H. 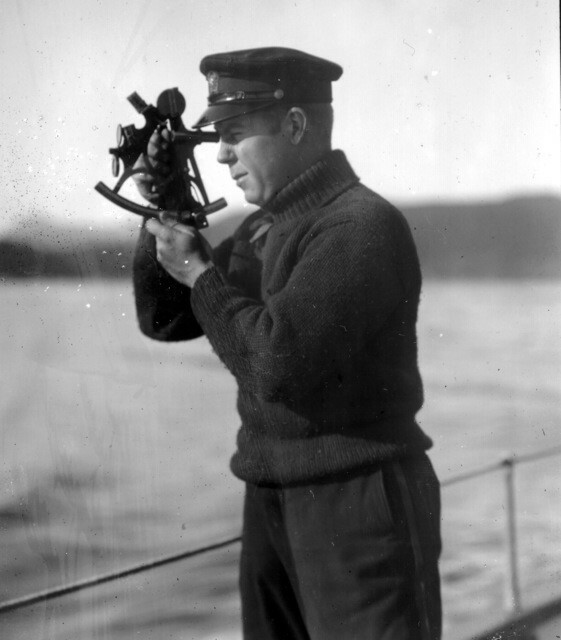 “Doc” Freeman, an entrepreneurial Seattle chandlery owner, discovered Adventuress tied to the dock in Sausalito. He saw past the neglect. Paying just $7,800 and hoping to turn a profit in Seattle, Freeman brought her up the coast in February 1952. The voyage was, by all accounts, downright harrowing. Off the coast of California, the winter wind blew a steady 45 knots, causing the sails to blow out. Despite the engine throwing its clutch and a leaking heater filling below decks with gasoline fumes, the ship made it to her new home in Puget Sound. After changing hands several times, Adventuress found a dreamer named Monty Morton who started Youth Adventure, a nonprofit youth sail training organization closely tied to scouting. His motto was “Busier youth build better citizens.” Morton and marine surveyor Captain “Cap” Raynaud began to restore the schooner in earnest, bringing back her topmasts, gaff rig, and bowsprit, and lengthening her main boom to increase her sail area. With the ship now repaired and Captain Karl Mehrer at the helm, young mariners could come aboard for adventure and learning. In 1963, Ernestine “Erni” Bennett came aboard with Dorothy Rogers and their Girl Scout Troops looking for adventure and challenge. They became increasingly involved in the organization, with Bennett following Morton as director, and would enlist an extensive community of volunteers to complete the ship’s transformation to her original lines. In 1989, the National Park Service granted Adventuress the elite status of National Historic Landmark in recognition of her national significance. In the late 1980s, Bennett was seeking a successor, another organization that would continue the ship’s youth mission. She chose Sound Experience, a nonprofit founded by Barbara Wyatt and Morley Horder, whose program was modeled after the sloop Clearwater and Pete Seeger’s mission to clean up the Hudson River in New York. 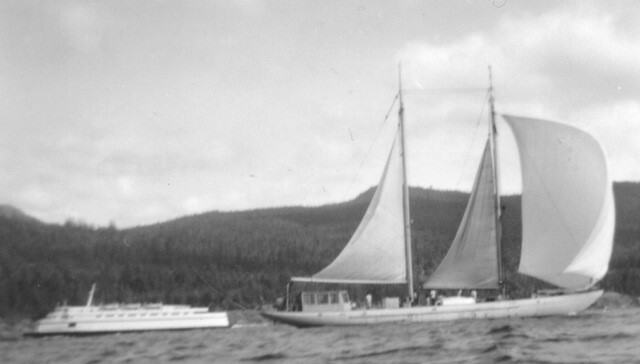 Adventuress was the ideal on-the-water teaching platform for environmental stewardship and protection of Puget Sound. 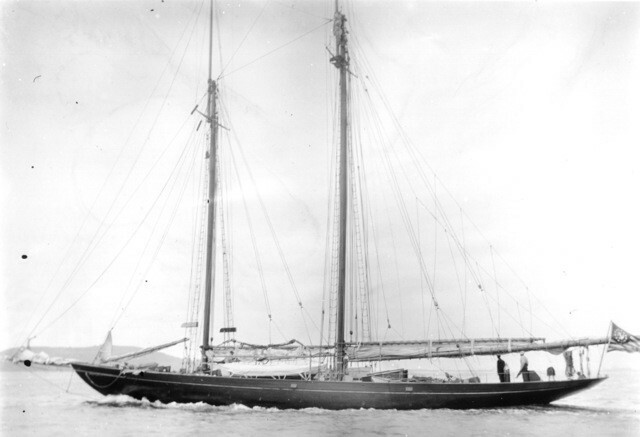 Now an icon of the Salish Sea, Adventuress remains an authentic example of living maritime history. 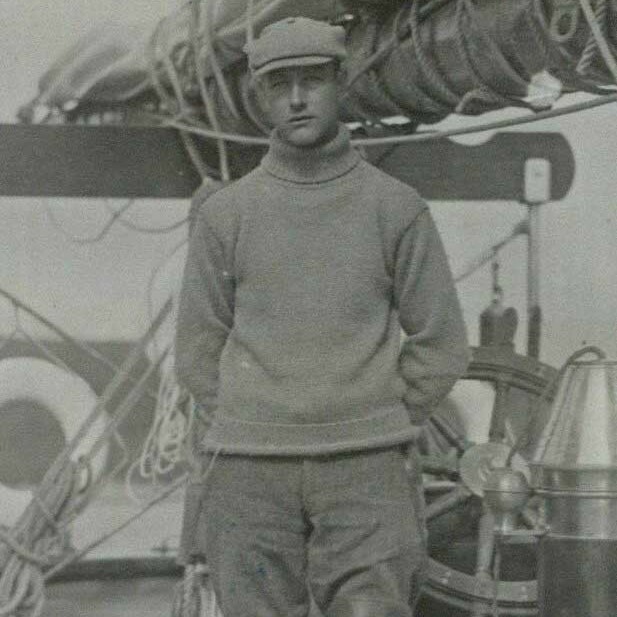 “Youth of all ages” can climb aboard, take the helm, and sail as they did 100 years ago. With a mission to educate, inspire, and empower an inclusive community to make a difference for the future of our marine environment, Adventuress hosts thousands each year. Under the careful stewardship of Sound Experience, she is poised to sail for generations to come.